It occurred to me that a Perpetual Magnetic Current Holder may be an analogue of a Leyden jar. The process of charging both is an exact analogy. The experiment I am researching is whether a Leyden jar has been charged by a permanent magnet. Inside and outside. Alternatively has one been charged by an electromagnet inside and outside. I have searched simply and found no forthcoming results. The more complicated search would be with regard to a magnetron in a microwave cavity charging the cavity or a Leyden jar within it. Now this is very dangerous, as all microwaves forbid metallic pans in the cavity. I have seen plasma balls generated in a microwave, but my simple question is the place where I want to begin. Has anyone done this experiment with a Leyden jar? This PDF shows the existing magneto static theory and it is based on the electron. It is also possible to base it on what I call a magnetron, but researchers have looked for what they call a monopole, and given up because they have the "electron". Since this was written they now have electron spin which makes the electron a magnetic dipole , and the proton a magnetic dipole and even the Neutron is a magnetic dipole. The electron also it is claimed has been split into its components of spin charge and magnetic moment. The Leyden jar experiment may help to discover the structure oh the magnetron. According to Ed the magnetron should be considered as a magnetic substance that spins in a vortex formation against its dual. The only distinguishing characteristic is the translational goal as both spin according to the right hand screw. This may seem odd if one is used to current theory, but Newton's third law is the basis of this description. We can resolve this into a description where magnetron have relative spin rates, and the faster spin rate moves past the slower one in a given direction(north - south). Ed observed that one end of a magnet form picks up more iron filings than the other. Now this is just a preliminary analysis, as I want to relate the magnetron to plasma, and remove the notion of a hard boundary to the " particle". We can start the whole investigation into this phenomenon again like Gilbert, Boyle, Newton, Franklin,Bose et al, and the Leyden Jar concept may be the key. just found this on the site, so i reckon it is relevant, especially to the design of Ed's permanent magnetic current holder. The history gathered together by Gilbert shows thar electricity and magnetism were always found together. Magnes and Elektra describe the substances in which the effects occured, That they might be the same thing at some level is an obvious conclusion, but caution demands a separate treatment. In so doing Magnetism takes preeminence. Electricity takes preeminence at a time when the industrial revolution skews its potency, and magnetism was seen as old hat. We need to restore the balance and realise that it is not magnetism or electricity but something else which i think plasmatism covers better than electromagnetism. The electron falsely i think has been squashed into the role of being a "point charge" whereas it is a magnetic dipole. The attraction between so called electrons has been experimentally discounted. The question is how and why? The frequency of rotation and the amplitude of some other property of this ensemble called the electron are not proportional. This amplitude swamps the magnetic dipole and has come to be called electric tension, but what is it? Is it distributed "vorticular magnetism"? This video is food for thought. The demonstration is flawed by being on top of an OHP with field interference not shielded, plus heat and air currents, the mentioned " breeze", but essentially an electrostatic field induces a potential for back emf which has got to have some link to a magnet doing the same and charging a Leyden jar, I think. 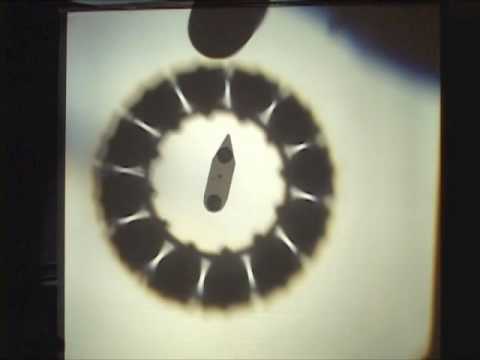 This series of demonstrations is special if only for showing Ed's magnetic plasmas in action. As you may know, the monopole concept is a non starter because it has a bad reputation, but linguistically it is a nonsense. A pole is chosen as a descriptive form precisely because it has 2 ends! Ed was careful to point out that he meant a magnetic substance, and I have put that in modern terms as a magnetic plasma. The other reason I placed this here is because the solenoid is wrapped and thus relates directly to the subject of the thread. The reason I am exploring this topic is because Ed did not have a whole lot to say about Electrostatics. It is a big missing piece in his theory which needs to be filled in. Ed reorients the open mind away from the smothering conformity, but he is not offering a mystical explanation. No natural philosopher or empirical observer, regardless of their mystical beliefs can offer a mystical demonstration.mthe demonstrations per force must be pragmatic. Ed died before he could move on to electrostatics. From a magnetic point of view it seems the hardest aspect to tackle. Right from Gilbert to Newton it was buried as occult! Boyle experimented with it , but had to do so even more secretively than the Alchemists! He certainly had to intimate his findings in obscure appeals and references. Boyle campaigned for the repeal of the "anti Alchemy" laws, in the British sphere of influence, and left several important research documents on the fluids that later came to be called electrostatic. The neaest Ed gets to Statics, to say the plastic substances only run against each other; and to suggest that the 2 substances might equate to the electron and proton, even though he disparaged the electron model. The electron model is flawed, especially now it is modified to have a magnetic moment! In short the electron is a diplolar magnet, all so called particles are. What Thompson invented however was a unipolar , mono polar individual call it what you will, he invented a charge that defies pragmatics, but nobody knew any different! Just as there are no magnetic substances that are not dipoles, there are no electric substances that are not dipoles. So if we allow electric charge to have an individual form, ed is correct to insist that magnetic substances have the same right. But this is not the real issue.mthe issue is electrostatics has gone wrong by insisting on separating the dipole into these individual charges. The 2 fluid theory was scotched by Benjamin Franklin and others on logical grounds, which are in fact not sustainable. We do not find matter to which charge has been appended. What we find is 2 charges that are in a dipole relationship, and we call this structure matter. When Thompson invented the electron, he was observing a ray in a depleted atmosphere. He chose to call this a single electron beam. When Rutherford invented his alpha ray, he thought it was a single particle beam. It turned out that it was made up of 2 " particles", that is if the beta beam was assumed to be made up of a single particle. It is these fundamental assumptions that are wrong and which Ed started understand. But he went down the root of an individual " particle" of substance for each substance in a permanent magnet. But then he insisted they always act together! Logically his is a diplolar structure. Assuming particles to be rigid creates mechanical issues, but assuming them to be fluid resolves these issues but creates mathematical ones! Well I am sorry mr Mathematician, you will just have to revise your ideas along the lines of Newtons method of fluents! Electrostatics therefore is a good direction to take Ed' s ideas in, but first one has to realise where Ed has got the terminology not quite right. It is not ideal, but diplolar plasma fluid is the stuff ed is describing as north individual and south individual magnets. Individual magnets , singleton magnets , dissociated magnets are not best described as poles! Ed makes the point that they are substances, particulate substances, that source from the permanent magnet pole and sink into the opposite pole of a permanent magnet. But the they make their way slowly back to the source! They do not annihilate or disappear one another. From these diplolar plasma fluids ed assumes magnetic dipoles, and constructs electric current. What he does not get to is electric dipoles and dielectric substances. This video traditionally would be explained by back EMF. This same emf would charge a Leyden jar given an earth connection on the outside electrode. What say you? thanx for this nice video! 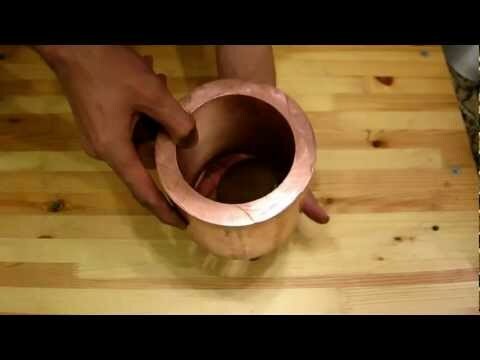 I love those copper pipe and magnet effects and in this video, it is so strong. Isn't it actually called Lenz's Law or Eddy currents? Ed would say it was due to the magnetic currents in the copper pipe. The notion of an electron, never mind an electric current is being challenged by expert engineers today, and has been for decades. Logic circuits actually throw up fundamental revaluations of conventional explanations. When I first heard of ed it was through Russ at RPG Research YouTube. When you peel back the mythologies and read his charming words you realise that he speaks of a time when everything plain and simple, observable and wondrous was shrouded in military secret. Worse still false propaganda was disseminated. Today those falsehoods and spurious ideas are only just being penetrated, and that is because of the Internet . Ed takes me back to the fundamental observables. Magnetic kinetics and electrostatic kinetics. Phenomena. At one time I was trained to answer conventionally. Today I do not have to. In fact we have never " had to" . The more I research the more I find how a conventional consensus has hidden recorded observations, troublesome phenomena that do not fit conventional theory. Ed's theory is very advanced, but written in 1940's concepts. During the war he could so easily have been accused of being a spy or an enemy collaborator, so he was brave to publish. But there was and is a tradition of mail order in America which allowed the fantastic to slide through as yet another scam perpetrated on a gullible public. Ed's work and his theory have intrigued because he made them intriguing. He studied mail order selling techniques that worked, and continue to work to this day. The point is he highlights the wartime restriction on engineering and inventive genius to control espionagthe to the extent that you officially had to deny the nose on the end of your face! Ed shows that the mysteries of electricity plainly must be based on the mysteries of magnetism. If you do this, you get a consistent theory for electric current, but also an insight into a fundamental set of phenomena, worthy of awe and investigation and natural philosophising! To be truly educated you needed to have a philosophy on such matters, Ed believed. For a dollar he could show you how to become educated! It was certainly worth a dollar! Eds purpose was to help others form their own opinion. You do not have to accept the convention. You are allowed to have your own opinion and your own terminology! Found his in my research into the vorticular nature of magnetism and electric current as a working electric field in a wire. Ed's elegant explanations are clearly fractally important. But this is a personal opinion as both forces are absolutely fundamental. The issue is that monadic paradigms look for one absolute source , whereas dualistic paradigms look for 2 or a duality as source. If we follow Newton we have to find a duality. Jjthompson started us down the road of a monadic charged particle. He did no knw as we do now that the so called electron particle is spinning and so by current electro magnetism has to have an associated magnetic " charge" or moment. This description is forced by the mantra electric charge is the source of magnetism. However, a dualist approach allows magnetism to be a foundational part of any spatial region with electric describing an orthogonal motion to an attendant magnetic motion. This motion is combined as a vorticular motion. Both magnetic and electric are therefore behavioural descriptions of motion effects on bodies in dynamic equilibrium. In terms of lines each force is the Equipotential of the other. Thus in a dual model, dipoles exist and space is a grid work of Equipotential "coordinate" frames that support fractal trochoidal motions.
" Gravitation must be caused by the matter in the middle of the earth, and more concentrated than Uranium. When Uranium atoms burst they release the North and South pole individual magnets that held the atom together, then the magnets scatter all around, but when the atoms burst in the middle of the earth, and many burst at the same time, they can only run from the middle to the outside. When the North and South pole magnets are running alongside each other and in the same direction, they have no attraction for the other kind. They only attract if they are running one kind against the other kind. When the magnets are running out of the middle of the earth, as soon as they meet an object they attract it, on account of the fact that in any object there is both kinds of magnets in it. It can be seen by rubbing hard rubber or glass until they get hot, then they will attract sand, iron filings, salt, and other things. To see how it functions, move a salt crystal a little, if it happens to get on a different magnet pole, then it will jump away. Another way is to rub hard rubber until it gets hot, then it will be a temporary magnet. The difference between the rubber magnet and the steel magnet is that the magnet in the rubber comes from the magnets that hold together the rubber, and both North and South poles are in the same side of the rubber and the magnet poles are small and there are many of them close together, but in the steel bar the attracting magnet is not the magnet that holds together the steel, but the surplus magnets the circulating magnet that was put in it. Attract the iron filings with the rubber magnet, then approach with the steel magnet. Change the poles, then you will see some of the filings jump away. This means the steel magnet changed the magnet poles in the iron filings, and so they jumped away. The demonstrations and procedures described within this website are derived from the research and personal experiences of the author. The author is not responsible for any negative or adverse effects or consequences from the use of anything suggested, demonstrated, or discussed on this site." This quote shows the range of Ed's theory. Certain "electrostatic " phenomena are observed involved with iron filings, and " magnetic" phenomena observed with salt crystals. Ed points out here that the distinction betweenn electric and magnetic, usually tacitly assumed and enforced is phenomenologically not there. Scale, material constituency and structural disposition all are observable in the phenomena. Why do we think they are different? Because we have been told incorrectly? Electric and magnetic are clearly related directly. Ed uses an " atomic" or ultimate division model but he states : you have to start somewhere, and where he starts is in the mutual attraction and repulsion rules between these ultimate division forms. These he defines as "magnetic", that is exhibiting magnetic force of attraction and repulsion. In so doing he up skittles the convention which fundamentally makes these same rules, the exact same rule. Electric! Ed's research into electric current seems to have started with the early pioneers. Notice the similarity in methods of investigation. In addition the galvanometer was the device used to measure electric "current", that is electricity in a conductor before volt and ammeters! Again a method Ed relied on. This article shows why ed seems to be saying something he is not. Secretively physicists have redacted electricity and magnetism, under the misguided advice of advertising agencies and spin doctors. Now we cannot understand what the early researchers in magneto electrodynamics were saying, or their insights..
Ed points us back to a time when observables were described intuitively and clearly. This important " fail" shows why charging a Leyden jar will not show huge voltages if done by even a powerful magnet ifbthecset up is not correct. To charge a Leyden jar an induced charge has to be earthed. Similarly to magnetise a conductor the induced magnetism has to be magnetically " earthed". When this is done, a comparison between the " charged" states can be made. There is a lot of magnet information now available in the Inghina thread, and much more at the philosophical society site. You will find out how badly we have been miseducated about magnetism. It has suddenly occurred to me that natural magnetism is associated with a stone or a rock called a lodestone, but electrostatic behaviours seemed to have no such natural reservoir. With some difficulty I began to uncover the role of the Kaolins in the phenomenon of natural electrostatics. Thus clays and rare earth soft rocks have a high correlation with natural electrostatic phenomenon. Further research is ongoing, but already, neodymium magnets fall into the category of interest as electrostatic ally enhanced magnets!